An incident on a wilderness survival camp out brings secrets to light and forces difficult choices on those trying to uncover the truth. Hamilton Kreeger is a lawyer and playwright living in Baltimore, Maryland. His play Sleeping Aide was a previous main stage production at the Pittsburgh New Works Festival. Forerunners is a comedy that focuses on story telling and incorporates some of the folk tales from my home province of Nova Scotia. It takes place in Nova Scotia in the late 1960's and it is non-traditional in the sense that it foregoes the usual advancement of the story through plot and instead the play is propelled forward by the use of relationship, character development and story telling. The play revolves around Donald and Jamie who compete to be the best story teller. David Healey studied as an actor and improviser before turning to writing. His one man shows have played at numerous fringe festivals. His plays have been performed at the Bad Dog Short Play Festival, Toronto's Short Short Play Festival and most recently at Unit 102's Operation 24 in Toronto. His Flashman radio play series has run at Spadina Museum every December for the past 5 years. Freddy and Emma meet on a front stoop of a tenement in a New York City's lower east side, circa 1904. Freddy is a barber and innkeeper with a wife and a daughter. Emma is a reflective, seminal thinker and writer, a former sweatshop seamstress. Freddy intrudes on Emma’s moment of writing and forcing her to listen to stories about his life and success, as he prepares to return to Germany with his wife and newborn daughter... John Adams was mentored by Carol Roper (award-winning writer and recipient of the Office for Advanced Drama Research Rockefeller Honorarium) and the Canadian novelist and short story writer Sandra Birdsell. John was awarded the Ontario College Graduate Certificate in creative writing from the Humber School for Writers. John is a founding member of the Writers Studio in San Diego, California and a Teacher Consultant with the National Writing Project. He currently teaches in a specialized certificate program in copy editing for the University of California, San Diego. He is currently a member of the Dramatists Guild of America. During the past summer, his full-length play In the Shadow of a Dream was staged during the New York City Midtown International Theatre Festival. MITF nominated awards included playwright, actor (Nick Jordan), director, and production design. A man delves into his past and discovers more than he can allow himself to remember. David recounts his childhood friend, Rachel, a mother figure, friend and delves into a past that brings them together. Job Ethan Christenson has written The Theist, Mfundo, Out of the Human Town, Where The Wild Ones Play, The Living Trees, In Bed, and Therapy. Job was recently published by Indie Theatre Now. He is currently working on a play trilogy about North Dakota. A husband and wife argue over the new addition to their family, the husband's robotic arm. While he sees it as a medical necessity, she views it as symbolic of his trust in longterm relationships. Everything comes to a head when the husband brings in the doctor who installed the arm, exacerbating the whole situation, and leading to a unique solution. Sean Lenhart (www.seanlenhart.com, @seanlenhart) - A graduate of Point Park University's Conservatory of Performing Arts with a degree in Musical Theatre, Sean has been seen on stages across Pittsburgh, working with Pittsburgh Opera, Pittsburgh Savoyards, Resonance Works, Undercroft Opera, Microscopic Opera, Front Porch Theatricals, Stage 62, Food For Groundlings, South Park Theater, and Greensburg Civic Theater. Sean acted in the 2016 Pittsburgh New Works Festival. Sean is a Professional Voice Actor, working from his home studio. He has over thirty audiobooks available on iTunes, Amazon, and Audible, as well as numerous roles in fan-made and original animations on YouTube. A woman sits in a friend’s kitchen. The woman is upset and tells her friend the story of what’s happened. She’s afraid she’s been banned from the Mennonite second-hand clothing store where she buys much of her wardrobe, especially her beloved “June Cleaver” dresses. After inadvertently breaking store rules on several occasions and incurring the disapproval of the retirees who volunteer there, she commits a further crime by disemboweling a down coat while trying to make it fit. Kate Kasten is the co-author, with Sandra de Helen, of a musical satire of the Nancy Drew mystery genre, The Clue in the Old Birdbath, which has been produced by theatre companies in Chicago, Minneapolis, Seattle, and Portland. She is also the author of three novels (The De-Conversion of Kit Lamb, Ten Small Beds, and Better Days) and a book of fairy tales for adults (Wildwood: Fairy Tales and Fables Re-imagined). Her short fiction has been published in Glimmer Train, American Literary Review, Madison Review and Northwest Review. On February 14th, 1884, Theodore Roosevelt suffered the loss of his mother and his wife within hours of each other. Legend has it that Roosevelt spent time in his study alone and when he came out he hardly ever spoke of his mother or wife again. This play explores one idea of what may have happened during that time in his study. Aaron Scully is a playwright, director, actor, teacher and scholar. His plays have been seen in Washington DC, Seattle, Minneapolis, Des Moines and Columbia, MO. Most recently he was awarded an Outstanding Achievement in Dramatic Writing from the Kennedy Center American College Theatre Festival. Aaron writes about what he understands as certain truths which exist in the world. He uses his own experiences, his love of history and his love of theatre to create theatre which honest and theatrical. In this very short play’s genre-bending structure, an apparently well-qualified job applicant simultaneously faces and doesn’t face unexpected obstacles. Seth Freeman’s plays have been presented at over a hundred fifty theaters and festivals around the world. He has written for print (The New York Times, Southern Theatre Magazine, The Wall Street Journal, The Los Angeles Times, California Magazine, Los Angeles Magazine, the Huffington Post, The Hill), screen and television, for which he created the series Lincoln Heights. He has received multiple Emmys, Writers Guild Awards, Golden Globes, Peabody, P.E.N., First Amendment, Christopher, Humanitas and numerous other honors for screenwriting, fiction writing and journalism. He contributes non-writing time to community and international organizations dealing with health care, education, the empowerment of women and human rights. Confined in an undefined time and place, a young man attempts to write his "Book of Life" amidst the interruptions of an old man. Together, they argue about the significance of memory and the consequences of an undocumented life, ultimately helping each other learn the greatest lesson of all: the freedom of letting go. 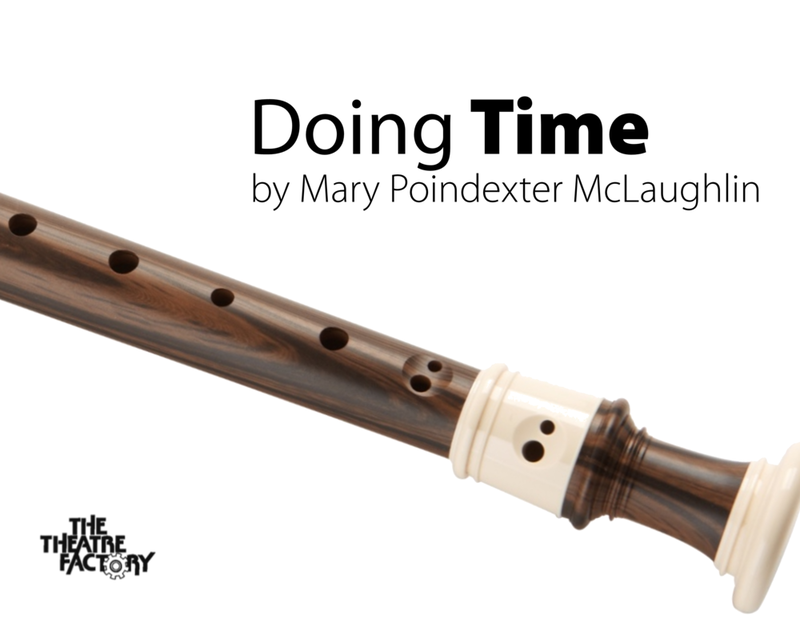 Mary Poindexter McLaughlin holds a BA in English from Stanford University, where she was the recipient of Stanford’s Golden Grant Award for playwriting, and an MA in Theatre & Performance Studies from SUNY University at Buffalo. Her plays have been finalists in the Samuel French One-Act Festival and the Turnip Festival in NYC, and been performed by talented actors like Hamish Linklater and Frank Wood. Mary recently directed a reading of her play Returns at the Kavinoky Theatre in Buffalo, NY, wrote the first season of the tv web series Why I Murdered My Roommate, and was chosen by Road Less Traveled Productions Theatre to be one of their five Regional Residency Playwrights. A published poet and the creator of improviDance, she lives with her husband and three children in East Aurora, NY. Member: Dramatists Guild, SAG-AFTRA. Website: mpmplays.com. Sean has a brilliant strategy to avoid getting dumped: hit 'em with paperwork. 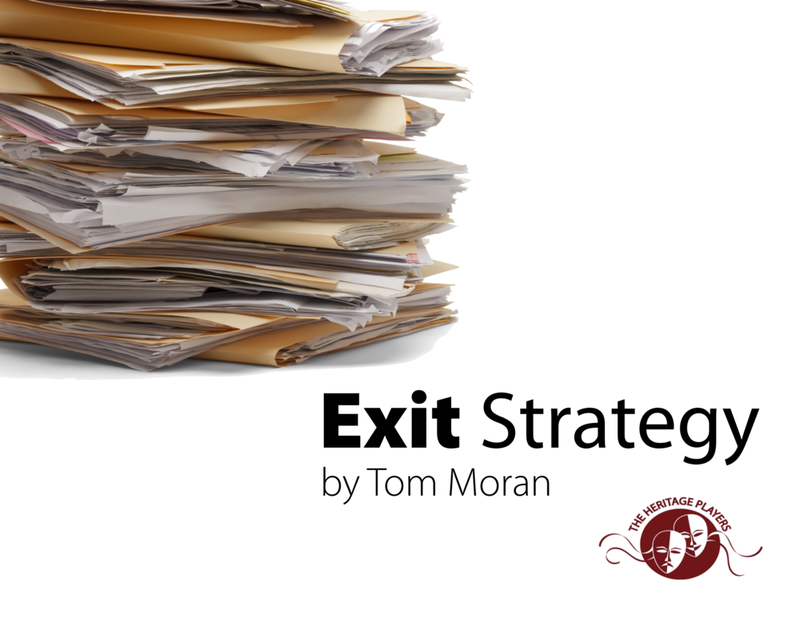 Tom Moran has been produced 33 times in 19 different cities in 13 states. Major productions include Boundary at the Perseverance Theater Second Stage in Juneau, Alaska; The Big Guy at Anchorage (AK) Community Theater; and Date With History at Fairbanks (AK) Drama Association. Other productions include OK Computer at Theatre Three (NY); Rewrite at Silver Spring Stage (MD); Roadkill at the Fine Arts Association (OH); Back to Normal at the Edgmar Center for the Arts (CA), Theatre Three, Flathead Valley Community College (MT), the UAF Student Drama Association (AK), and at the Eden Prairie (MN) Players in both 2010 and 2015; and Duo by Short Attention Span Theater (AK), 10x10 in the Triangle (NC), the Salt City (UT) Artist’s League, Insurgo Theater (NV), Stone Soup (WA), and Deer Park High School (NY). Duo was also published in The Best 10-minute Plays 2012 by Smith & Kraus. Tom holds a bachelor’s in English from the University of Notre Dame and a master’s in Creative Writing from the University of Alaska Fairbanks, and has resided in Fairbanks, Alaska since 2000. When a dying man puts his life insurance policy up for sale to the highest bidder, all involved prepare to meet their maker. John Yarbrough is a playwright in New York City. His plays have been performed throughout the country, and his play Petra was a selection for the Best American Short Plays 2014-2015 anthology (Applause Books). He is a former artist-in-residence with the Hudson Warehouse, where he served as co-director of its reading series for new and emerging playwrights. He is a member of the Writers Guild of America East and the Dramatists Guild, and he is a professional member of PEN America. Two friends wait for a train, trapped in a memory on repeat. Only the truth will set them free, but in this strange world of changing conversations and bagel-carrying sparrows, what if one doesn't want to leave? Evan W. Saunders' plays have been performed as a part of the 2016 Pittsburgh New Works Festival and the Duquesne University Red Masquers' Premieres Festival. His first full-length play, All in the Numbers, is currently in development. Sean invites Emily to dinner to propose marriage. He brings his grandmother’s engagement ring to the restaurant and instructs the server to place the ring in Emily’s dessert. Justin invites Bria to the same restaurant at the same time, planning to break up with her. When the engagement ring intended for Emily ends up in Bria’s dessert, the chaos begins. Julie Zaffarano is an emerging playwright in the Philadelphia area. Her play, The PlayMakers, was named the Winner in the 2016 What If? Productions Annual Playwrights Festival and is scheduled to be produced in Charleston, June 2017. Other recent readings: A Work in Progress Theatre, Baltimore; “Readings at the Drake” PlayPenn series (Wilma Theatre, Philadelphia); Philadelphia Dramatists Center Playwrights Showcase; Cloverdale Playhouse “Page to Stage Contest. She has also received an Honorable Mention from the Ohio State University New Play Fest, and has been recognized as a Finalist for the Villanova University 2016 Sue Winge Playwriting Competition, 2016 Finalist for the Strange Sun Theatre Greenhouse, and Semi-Finalist for Actors Theatre of Charlotte Nuvoices. Her newest work, Kentucky Lemonade, was selected for a reading as part of the PDC Readings Series. Julie holds two Masters Degrees: MA in Classical Studies and an MS in Organization Science from Villanova University. The subsequent criminal investigation of the multiple homicide at Juliet's tomb. Detectives Davis and Stanley interrogate Friar Lawrence at the Verona 41st Precinct Police Station. William H. Sikorski lives in Minnesota's Twin Cities, where he works as a laboratory manager for 3M. In his (limited) spare time he writes (very) short plays. He has had several 10-minute, 1-minute and even a 1-second play produced. Mistaken identity and bad timing wreak havoc on a family full of secrets! Lezlie Revelle is a playwright, author and singer-songwriter from the Midwest. Lezlie has been writing plays for over a decade and just completed her seventh year as artist-in-residence for the Olathe Northwest High School Repertory Theatre class in Olathe, KS. Lezlie’s plays have been produced and won awards across the United States, including New York, Kansas City, and San Diego. Cooper and Ava have a hot date at the movies, but Cooper's younger brother Owen tags along. Everything's going as well as can be expected until Owen runs out of popcorn ... Matthew Weaver is a Spokane, Wash., playwright and screenwriter. His plays have been performed in Washington State, Canada, New Jersey, Massachusetts, Ohio, Texas and West Virginia. Bernie Heller has always been a bit of a schmo. And his life hit bottom today. Miserable, divorced, and a brilliant but failed artist, Bernie finally decided to end it all by getting smashed, then hanging himself – with a child’s skip rope. But when he jumped off the ladder, the thin rope snapped, the fall resulting in two broken ankles. Now three sheets to the wind and totally helpless, he calls the only person who can get him back on his feet: his renowned brother, Doctor Sid Heller. Fred Perry is a produced playwright and screenwriter, who has had writing assignments in Europe, Latin America and the U.S., authoring six feature films for Omega Entertainment, Athens, Greece, and collaborating on multiple projects with Alfonso Arau (director of Like Water for Chocolate and A Walk in the Clouds). Fred’s plays have been performed in Los Angeles, Washington D.C., Pittsburgh, Tampa Bay and Georgia, where his two-act comedy, The Ascension of Twyla Potts (winner of the 2015 Moondance International Film Festival) premiered last October at the Rome Little Theatre. His screenplay, Five Days in Calcutta, has won 1st place in over ten international screenplay competitions, including the 2012 PAGE International Screenplay Awards, 2014 D.C. Shorts Film Festival, 2014 Fresh Voices, 82nd Annual Writers Digest Writing competition, et al. Another of his winning shorts, Incident on I-95, was just animated by the Scriptamation Company. Cleveland is a struggling singer-songwriter and, after losing their house, has taken his 15-year-old daughter Ellie on the road. One night, tired of the hard life they are leading, Ellie decides to run away. Mark Cornell has had more than 70 of his plays produced in theatres around the world, from England to Australia to Singapore and all across the U.S. He is an ensemble member with Moonlight Stage Company in Raleigh. He has an MFA in playwriting from UCLA.